Click here to visit The Service Rountable website. 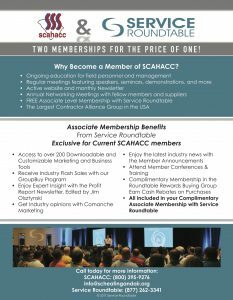 At SCAHACC, we are always working on your behalf to bring ideas, meetings and resources to help you improve your business. As an affiliate partner with Service Roundtable, we can make a special offer to each of you to attend Service World Expo in Las Vegas on September 7 & 8 in Las Vegas at Mandalay Bay. 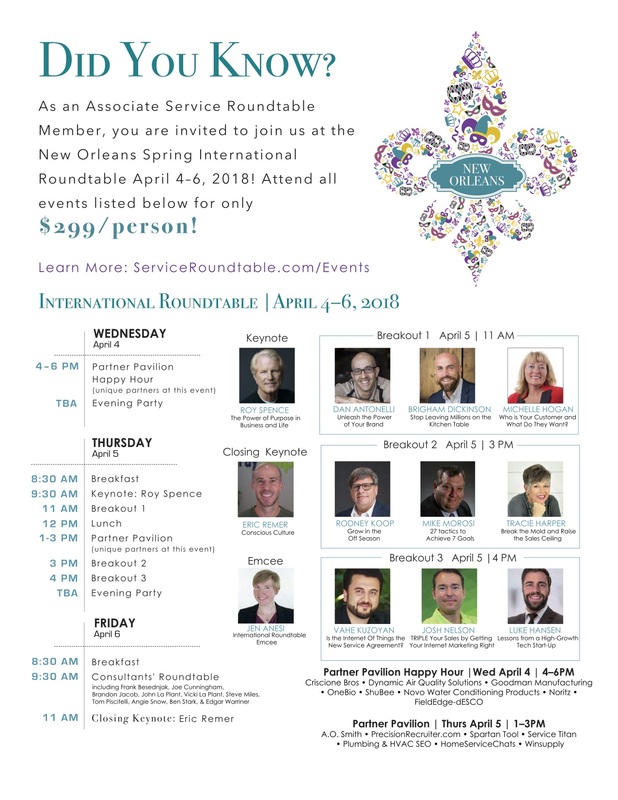 As an associate member, you are invited to a special party for Service Roundtable and Service Roundtable associate members. After all work and no play, is not the Vegas way. The attached flyer provides details on the party and all other work and play events at Service World Expo. The work begins on September 7th at a full-day conference followed on September 8th with another full day of innovative, fresh, exciting, profitable ideas and tips from both industry and non-industry speakers. This is the largest residential contractor focused conference in the industry meaning you have a chance to network and share great ideas with other like-minded contractors. Many past attendees say this is the best part because they form long-lasting relationships that can be business transforming. See the attached flyer for more details or go to http://www.serviceworldexpo.com for details and registration.